odk.design is proud to announce the release of AESTUS, a series of stratified wooden vases exploring a new synthesis of traditional materials and modern technology. AESTUS blends material and machine. Carved from hundreds of layers of wood by an industrial robot, the vases capture the fluidity of the machine’s movements in the depth of the wooden texture. Merging art and engineering, AESTUS is meant to celebrate the emerging aesthetic potentials of contemporary wood design. AESTUS is the first product design project from German architecture and wood researcher Oliver David Krieg. 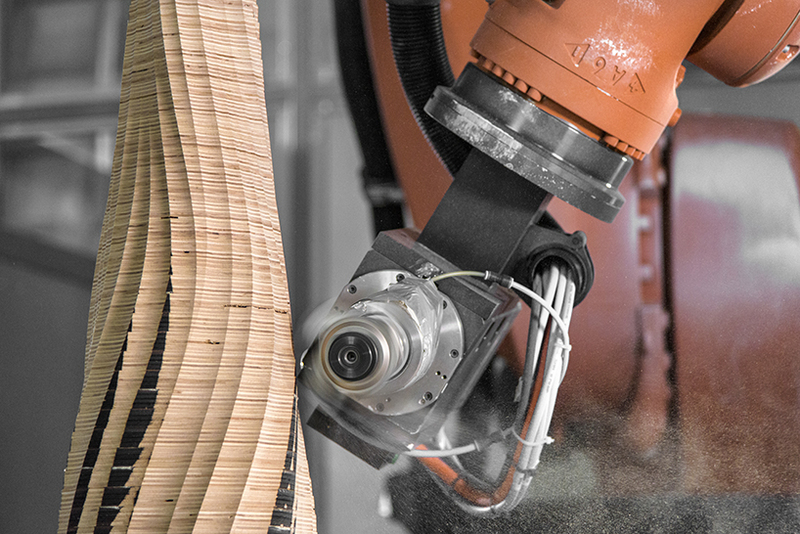 Building on almost ten years of experience in digital manufacturing of complex wood structures, AESTUS seeks to express the forces of formation in robotic fabrication, and to explore the dynamics of human, material and machine. 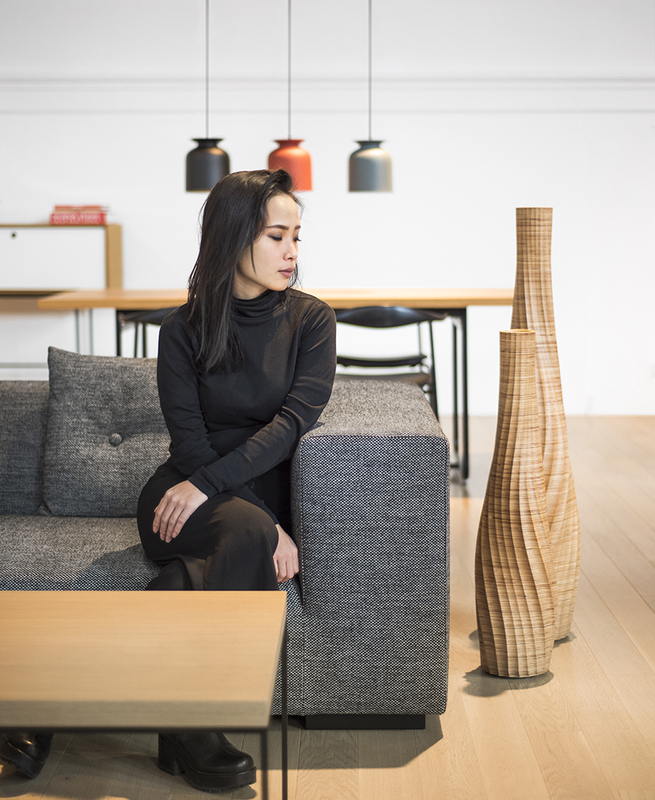 Each vase is meant as both an expression of the aesthetics of a modern manufacturing process, as well as a statement for contemporary wood design. The series’ distinctive material and iconic shape blends modern and traditional design qualities. 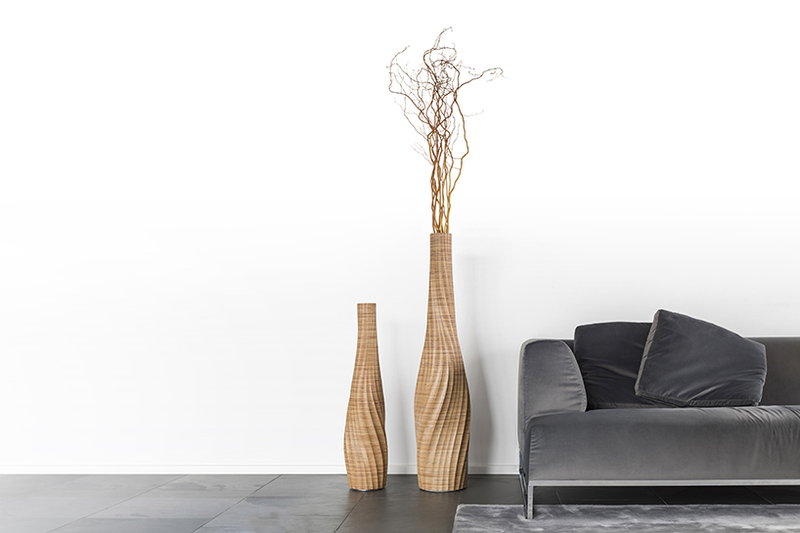 Displayed in tandem or as a conversation piece, each of the four vases in the series is functional and durable. A brushed stainless steel inset marks the lip of the vase and serves as a durable water repository, which ends at the bottom as a setback platform. A wax finish serves as a natural protection to the wood. The vases are produced by the German carpentry Georg Ackermann GmbH, who worked closely with odk.design to allow for a direct data transfer from design to production. AESTUS is sold online on www.odk.design.